A quick and easy microwavable chocolate cake, for whenever that chocolate craving hits. I can’t decide if this is the worst or greatest idea I have stumbled upon— a chocolate cake, baked in a mug, in a microwave, in under two minutes. You can go from hankering to satisfaction in a matter of mere minutes. It’s dangerously wonderful. This recipe was originally posted in March of 2012. I wanted to update the photos, as well as address some of the issues a few of you had with the recipe. I’ve changed a few ingredient ratios, and made it into two mug cakes instead of one. The result is a chocolate cake that is lighter, tender and more moist, and still with a layer of gooey melted chocolate at the bottom that makes a wonderful stand in for frosting. And now there’s cake enough to share! 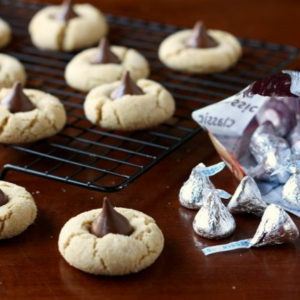 baking tip:What is self-rising flour? Self-rising flour is all-purpose flour that has a leavening agent— baking powder— and salt added to it. I don’t often bake with it, but it is perfect for recipes like this where so little amounts of each ingredient are required. If you don’t have self-rising flour, you can substitute 1 cup of self-rising flour with 1 cup all purpose flour, 1 tsp baking powder and 1/4 tsp salt. A quick and easy microwavable chocolate cake for when you need a chocolate fix. 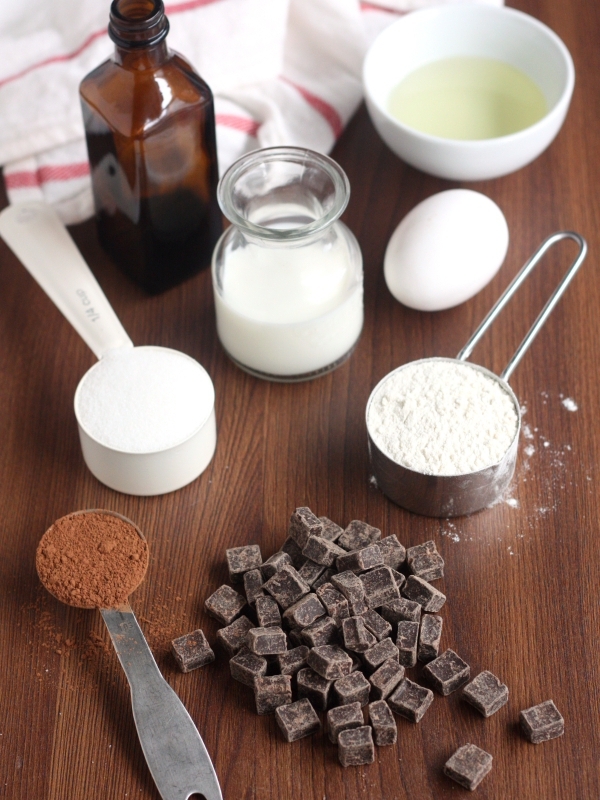 In a small bowl, whisk together the vegetable oil, milk, egg and vanilla. Add the flour, sugar, and cocoa and whisk to combine. Divide the chocolate chips between two medium microwave-safe mugs. Pour batter into the mugs over the chocolate chips. Microwave on "high" for 90 seconds. Check to see if the cakes are puffed and bounce back after being lightly touched. If not, microwave for an additional 30 seconds. Serve immediately. If you don't have self-rising flour, you can substitute for 1/3 cup all-purpose flour + 1/4 teaspoon baking powder + pinch of salt. Recipe inspired by The Lucky Peach Magazine. Note: This recipe was originally posted in March 2012. Slight changes have been made to the recipe. When I was in college, my roommates and I *always* used to make these on late study nights–I’m so glad to see them get their I-need-dessert-now place in the sun!! I would love to review your recipe book. I have a feeling you are going to make this for your little one over and over again through the years and you are going to be considered “the best mum ever”. Such a fun idea! I crave cake way too often – so this is super dangerous!! Smudge is going to love this, and I might love it even more because she can make it herself! Wow, this is going to be a problem for me. In the best way ever. Hey, they were saying that it was a good cake and that it was so easy that they would make it a lot. That does not make them 600lb, a bully, or rude. They were not making fun of anybody. There is literally no evidence for your comment. They were actually being nice to the author of this blog. You have no right to tell them to get a day job or to go for a jog. Your comment was entirely rude and uncalled for. Yum! I too have seen these recipes on a lot of fod blogs but haven’t tried it yet. It DOES seem like such a lovely way to eat cake quickly! Mmmm! A few months back I tried making a truly single serve version of one of these beauties. It was too small for me! I should definitely try this 1 or 2 serving version. 😉 I love your measure, mix, enjoy pictures. Perhaps next time only use half of the beaten egg and see if that’s more to your liking. So glad you tried it, it’s a dangerous dessert, isn’t it? 782 calories and 50 g fat. Just made this and it came out wonderfully! Substituted skim milk for whole milk and it was great, but otherwise stuck to the recipe. I split it between two teacups and it was the perfect amount for two people! I used mini chocolate chips and it was a good call for the smaller portions. Delicious! How did the cooking time change when you split the recipe? Honestly, I rarely comment on recipes. But this cake was the best mug cake I’ve ever tried and I’ve tried many. The powdered sugar on top makes it even better. So glad you liked it! And thanks for coming back to tell me about it. Pretty good, I see what they mean about “eggy” it is a bit spongey, but it isn’t bad. Next time I’ll take the advice and use half an egg, maybe only a yolk or white to see what happens. But for those of us who like eating brownie batter, heck, just eat it without cooking it, it tastes like box brownie batter! I do like how this one uses less flour, so the dessert doesn’t get as dry and hard. I halved the egg and it still tasted egg-y to me. But I also am sensitive to the taste of eggs. All in all, maybe 1 1/2 teaspoons more cocoa and allllll good. This was the easiest recipe ever! I made it at home just after dinner , it barely took ten minutes including prep and microwaving time! It came out awesome! 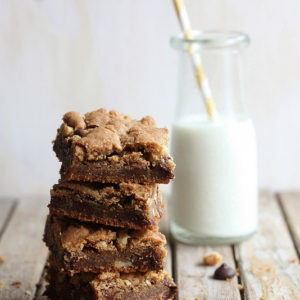 I used a small portion of a chopped hazelnut chocolate bar instead of chocolate chips.it was so yummy! Thankyou so much for this awesome recipe! I love the pics you put up! Any advice abt cooking times & microwave power? Thanks for this post. I made this tonight – first time microwave cake making adventure. I only used one tablespoon of oil, used skim milk, and flip-flopped the amounts of dark cocoa and sugar (so 4 tblsp cocoa and 2 tblsp sugar). I microwaved for 2 minutes @ 80% power and needed to do about 40 seconds more on high power. It turned out great for me but I would probably stay closer to the recipe if making for the adorable husband or others. Fun recipe to play with though – thanks again! well i wold make it again but this time i didn’t use all the ingredients we didn’t have chocolate and coco but i tried to make vanilla but it turned to rubber but still eatable it didn’t eat it all but my dad did lol well i will try ti next time but with all the ingredients if i remember. Thanks for the comments. The mug cake recipe as I’ve listed here (I haven’t tried any substitutions or variations, sorry) isn’t a perfect cake, but it definitely will fix a chocolate craving in a hurry. 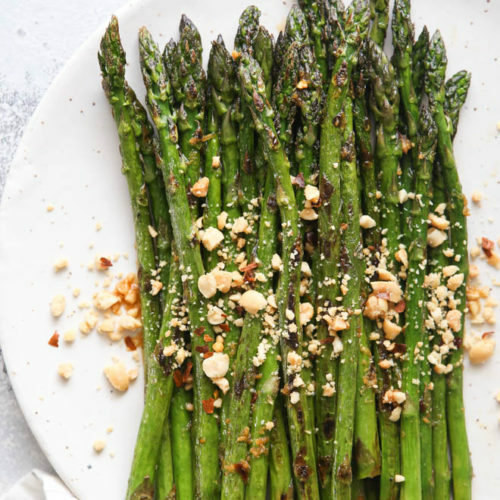 For me it’s a perfect last-minute weeknight treat. tried this..came out delicious,soft and spongy..thanks a lot dear.. This was really good. I used butterscotch chips because that was what I had. They didn’t sink to the bottom, though. I also used a taller drinking glass. It was easy and fast and satisfied my chocolate craving! Glad you enjoyed it, love the idea of using butterscotch chips! This recipe is so good! My friend gave me all of the dry ingredients in a jar for Christmas with a list of the wet ingredients to throw in and it was literally one of the best chocolate cakes I have ever had. It was just like a lava cake; moist chocolate cake with a fudgey sauce inside. Bliss! What a fun gift idea! Thanks so much for sharing! So good! Any idea if this recipe would work in the oven? It was awesome. I made it dark chocolate by adding a half tbsp of cocoa, and I used skim milk.But I didn’t mix the egg whites enough and I ended up with chunks of egg white in it. It was fine, but kinda weird. But I’ll definitely try it again. And I’m 13 if you wanna know how easy this is. What a great suggestion! Thanks for sharing, so glad you liked the recipe! The flavor was that of chocolate cake, but the texture was not. It was very spongy, and not enjoyable. It was like eating undercooked (chocolate tasting) French toast. I would not make it again. This is even better if you substitute buttermilk for the whole milk. Can I use the self-raising flour instead of all-purpose flour? My family liked it wayyy more than me, probably since I have a slight aversion to eggs. Could you tell me something to use in place of the egg? My sister was recommended this recipe from a colleague. We tried it tonight and it was delicious. THANK YOU! I tried this yesterday, but I didn’t mix it well enough so it didn’t taste right!! Make sure to mix really well!! Found your recipe doing a google search and I just had to say that this is the BEST tasting chocolate mug cake recipe I’ve tried yet! Mmmm! Thank you! Not sure where I went wrong. Had no powdered cocoa so I substituted for chopped baking chocolate and took out 1 tbsp of oil. It came out of but was the texture of bread pudding which is odd considering it should be chocolate cake lol any advice? I will definitely try again with proper ingredients. All the reviews are too great not to! Oh these are devine!! I used cake flour and a pinch of baking powder in mine though. Perfect light fluffy texture. Excellent recipe. I expected nothing and I got a great cake! I used a small egg, I think a larger egg would have been fine for me. Next time I will add more chocolate chips because I love chocolate!!! Thanks for sharing. This is the best mug cake recipe I’ve tried. I used skim milk and a splash of hazelnut syrup. Didn’t have chocolate chips, so I dropped a marshmallow in the bottom of each cup, and that made a great upside down frosting effect. Made this for my husband n myself on a rainy evening.. Rain n warm quick chocoalte was just amaaaaziiinngg..!! Loved it.. Thanks for the comment! Love the idea of adding Nutella, I’ll definitely be trying that! I have an ancient microwave and cooked two mugs for 99 secs, then 20 and then 20 again to get them fully set. They were a bit oovercooked and rubbery by that point 🙁 But still delicious! Then I realised that I forgot to add the oil! Oops. I am tempted to get some powdered milk and eggs and make up emergency cake packets that only require a bit of oil and water, a mug and a microwave. As another commenter mentioned, they would make great gifts! Used skim milk because that’s all we have, and used butter and chocolate chips instead of oil and cocoa powder (since we didn’t have any in the house). Just adding my 2 cents in case someone has limited ingredients like me, and wants to know if it’s worth trying. Mix all the wet ingredients and add all the dry ingredients and combine well till no lumps are found. Microwave on high for 1 min 10 sec. An healthier and more chocolatey mug cake is ready. Serve it with a scoop of vanilla icecream or garnish it with chocolate flakes… Yummyyyyyyy !!!!!!!!!!! 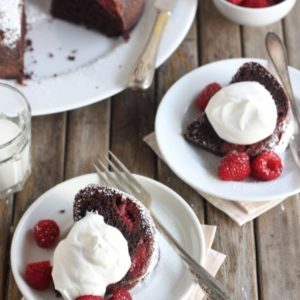 This is what I’m looking for, a 2-minute microwave cake. YUM! Mine was rubbery, like pancake in a cup. What did I do wrong? Well this is a very suprisingly good recipe I had all the things at home and I am sure that there have been lots of remakes on YouTube using this recipe POPSUGAR does use this recipe except using a vanilla version of this. This looks really good when that chocolate jones kicks in….I really want to make this tonight after seeing those awesome pictures…oh, the heck with it, who am I kidding? I’ll just jam 2 big gobs of Nutella in my face and call it a night!! 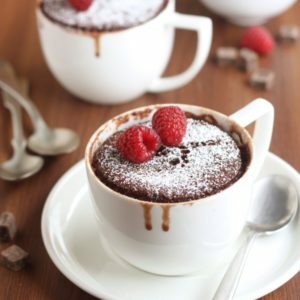 This chocolate mug cake looks absolutely fantastic. Beautiful photos, too. I look forward to trying this. Thanks a lot for sharing Annalise! 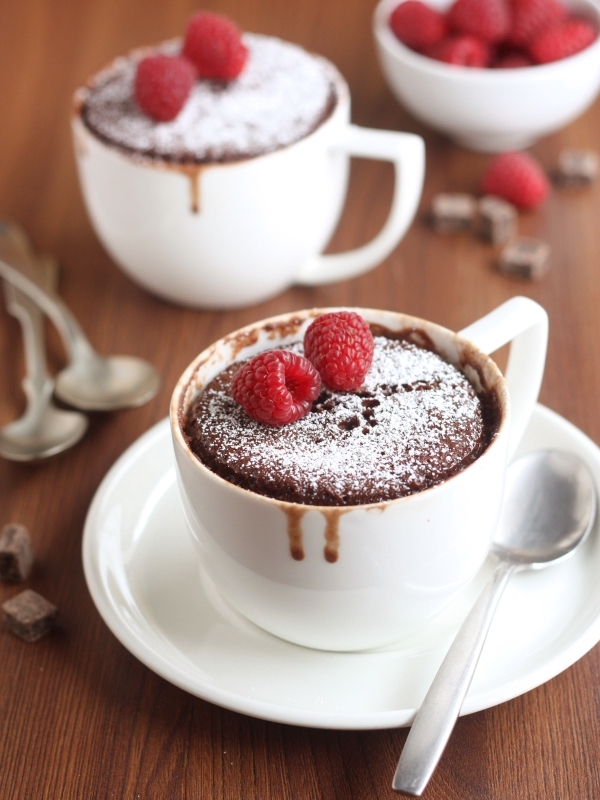 Absolutely love your creative idea with chocolate mug cake! Never seen something like this! Definitely, I will try to make it too! Thx for sharing! That chocolate mug cake just looks so incredibly delicious, and I am so craving a slice right now! Definitely, I will make it on the weekend for my family. 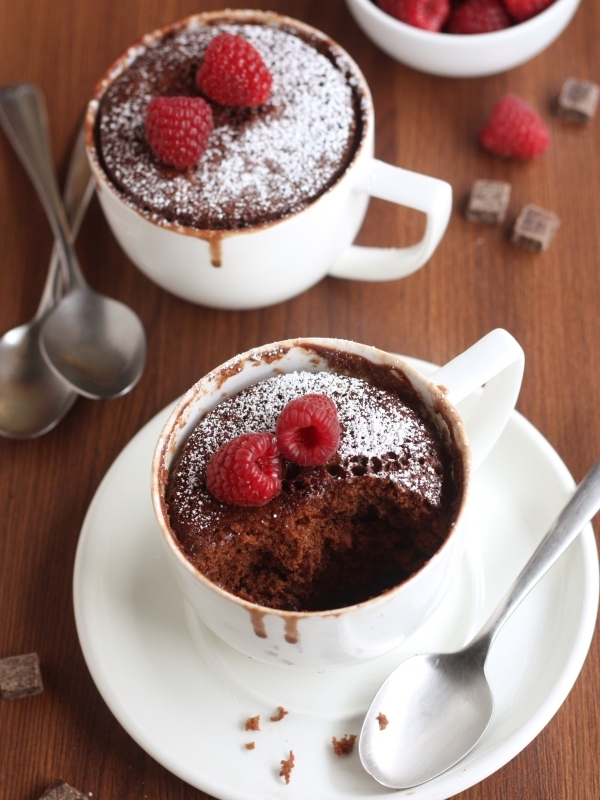 This chocolate mug cake looks so zesty and tasty! Absolutely love your creative idea! Thanks for sharing!